Mike McCarty, Founder & CEO, is also Founder & CEO of one of the fastest growing background screening firms in the U.S.- Safe Hiring Solutions– with thousands of clients such as Liberty Mutual Insurance, Kiwanis International, Brotherhood Mutual Insurance Company, Big Brothers Big Sisters, Boys and Girls Clubs and Mennonite Mutual Insurance Company. He has more than 25 years of violence prevention experience that includes being a violent crime detective with the Metro Nashville Police Department where he was instrumental in developing and implementing the largest law enforcement-based family violence program in the U.S. as well as a lieutenant at the Indiana Law Enforcement Training Academy. Mike is the author of “Choking in Fear: a Memoir of the Hollandsburg Murders” which was the basis for a documentary on the Discovery Channel titled Very Bad Men. Mike has facilitated violence prevention training and consulting nationally and internationally to organizations such as U.S. Homeland Security, U.S. Department of Defense, U.S. Department of Justice, National Sheriff's Association and the Federal Law Enforcement Training Center. 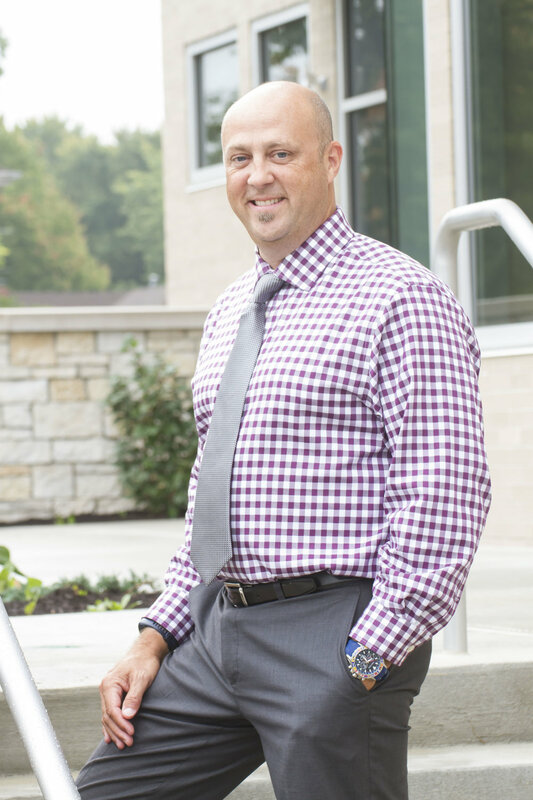 Mike is also active in the community has served on numerous boards including Northview Christian Church Stepping Stones, Outreach Inc., Domestic Violence Network of Indianapolis and the Montgomery County Chamber of Commerce. Brigitt Klaum, CCS, leads our client strategies team and coordinates with sales, support and client services. She started with our background screening firm Safe Hiring Solutions in operations, client management then lead client services and was promoted to Chief of Client Strategies in 2017. Brigitt is forward thinking and always focused on the client experience and coordinates closely with our leadership team on our development calendar and ensures that all of our products create a great experience for our clients. She also brings almost 10 years experience within the background screening industry and a vast understanding of background screening best practices, understanding of criminal record sources as well as state and federal compliance issues. Brigitt and her husband Glenn have three children. Lauren Thomas, Ex. VP & COO, encompassed by a phenomenal leadership team, and utilizing her competitive nature, strives to lead the vision of the company. After majoring in criminal justice at Indiana University, Lauren launched herself into the legal field as a paralegal for a private firm, specializing in criminal defense for seven (7) years. She then moved to a Fortune 500 national commercial retail corporation where she negotiated all leases and contracts. With her ability to lead, Lauren added coaching to her list of careers. She has guided the Danville Community School's volleyball program for eight (8) years and continues to serve as the high school girl's varsity coach. Lauren is able to apply her wide range of legal background and leadership experience to help drive and implement the company's vision. Lauren and her husband Jeremy have two children. Trisia McCarty, CFO, is responsible for all aspects of financial management of the company as well as utilizing her more than 20 years of law enforcement experience and providing her insight into security and safety issues to the leadership team. Trisia retired after 20 years with the Munster, Indiana Police Department where she was a patrol officer, crime scene technician and the department's Domestic Violence Coordinator as well as being actively involved with issues of women and policing. She is a graduate of Indiana State University with a B.S. in Criminal Justice. Trisia and her husband Mike have five children. DJ Weidner, CCO, is responsible for all aspects of compliance for the company which includes contracts, vendors, data providers, clients, employees as well as local, state, and federal compliance issues. DJ started her career with Safe Hiring Solutions eight (8) years ago as a client manager, team leader, operations manager and then was promoted to her C level position three (3) years ago. She has a strong finance and compliance background having worked with large banking institutions as well as in finance with a large metropolitan school district. DJ's broad experience with background screening and software development makes her an invaluable asset to the team as she oversees communication with the leadership team and the different software development teams and third party providers we integrate with and has a keen eye for software issues that arise.